Soedesco to publish retail version. 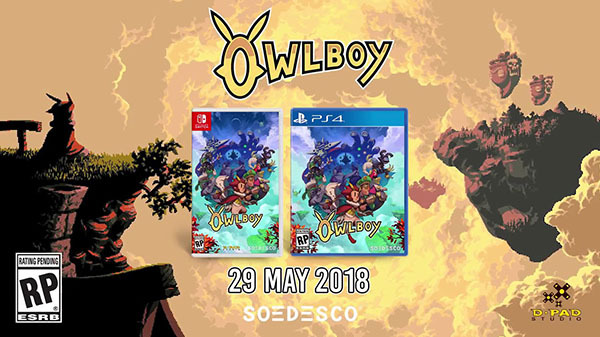 Soedesco will release a physical version of Owlboy for PlayStation 4 and Switch on May 29 in North America and Europe, the company announced. Switch between Otus’ friends at any time to employ their unique abilities. Owlboy is available now for PC, and will launch digitally for PlayStation 4, Xbox One, and Switch on February 13. Watch a trailer for the physical edition below.